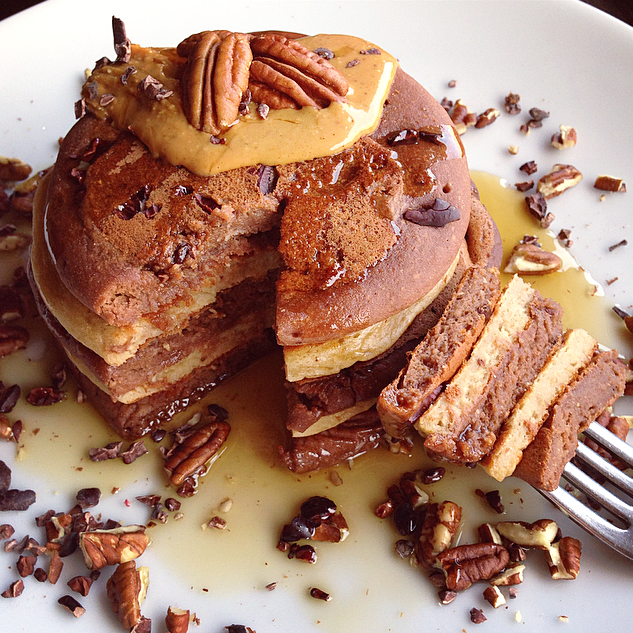 Vegan Gluten-Free Refined Sugar-Free Vanilla Maca and Chocolate Chip Chai Layered Pancakes – Live Kind. Eat Kind. Oh my – this will make the menu next weekend for sure – these sound amazing!! Oh wonderful! 😊 Have a great Sunday Meredith!! I LOVE healthy foods disguised as unhealthy indulgences, haha. Pancakes are a favorite around here! 🙂 I will have to check out those chocolate pancakes you love!! I know right. I recently discovered how to make home made vegan ice-cream. Having so much fun with flavours at the moment! Oh, you better believe we’ll be making these over our weekend! They sound incredible….and look so fluffy! !